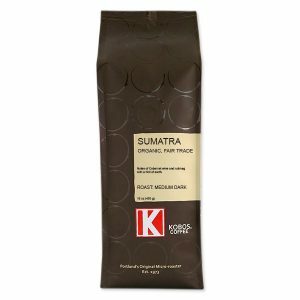 Nutmeg, Cabernet wine and a hint of earth round out the flavors of this fair-trade organic Sumatra coffee. 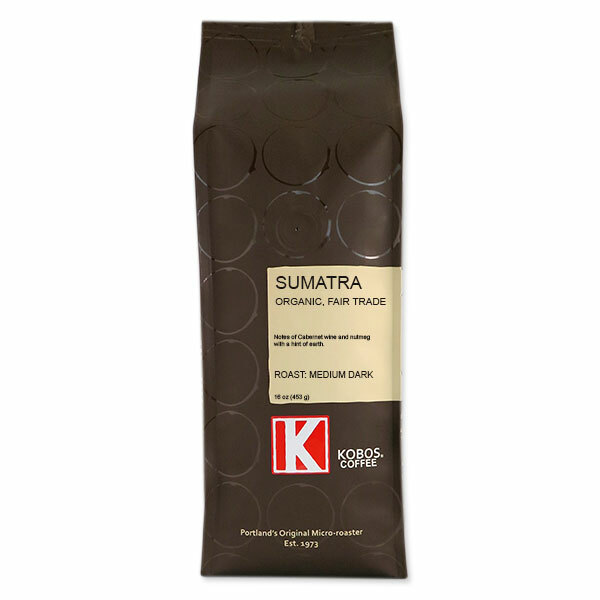 This Sumatara coffee offers up a clean, woodsy aroma with a touch of spice. 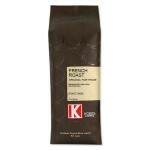 The flavor notes include a full-bodied Cabernet wine, nutmeg and just a hint of rich earthiness. The beans are grown in volcanic loam at an elevation of between 4000 and 5000 feet and harvested from June through December. They are wet hulled and dried in the open sun. Certified Organic by The Oregon Dept. of Agriculture. Kosher. Ketiara Cooperative is a group of family owned farms in the Takengon highlands of Aceh, Sumatra. The region is also referred to as Gayo land because the coffee farmers are of the Gayonese ethnic group. Many of the farmers are widows who lost their husbands in the long, armed conflict the region endured in the recent past. The farmers and their families are rebuilding from a 2013 earthquake. Also, a women’s organization was formed to address community needs such as plans to build a health center. We’re major fans of Sumatra Mandheling. This one may be even better — it’s wonderful!